Drop your axe and pick up your plow because there's farming to be done. Take the role of an 8th century Viking who would rather run a farm than raid and pillage foreign lands. You'll work up a sweat as you raise ye olde animals, produce ye olde goods, and beat ye olde clock during 172 challenging time management levels. 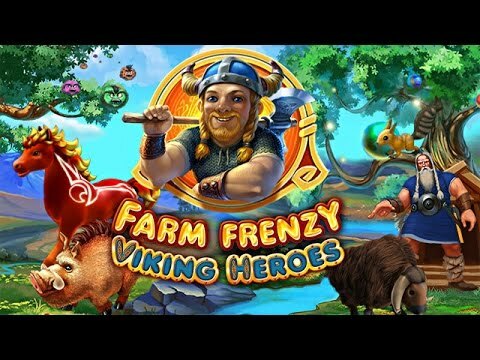 Packed with more thrills than a horn of honey beer, Farm Frenzy: Viking Heroes will delight longtime fans and newcomers alike.